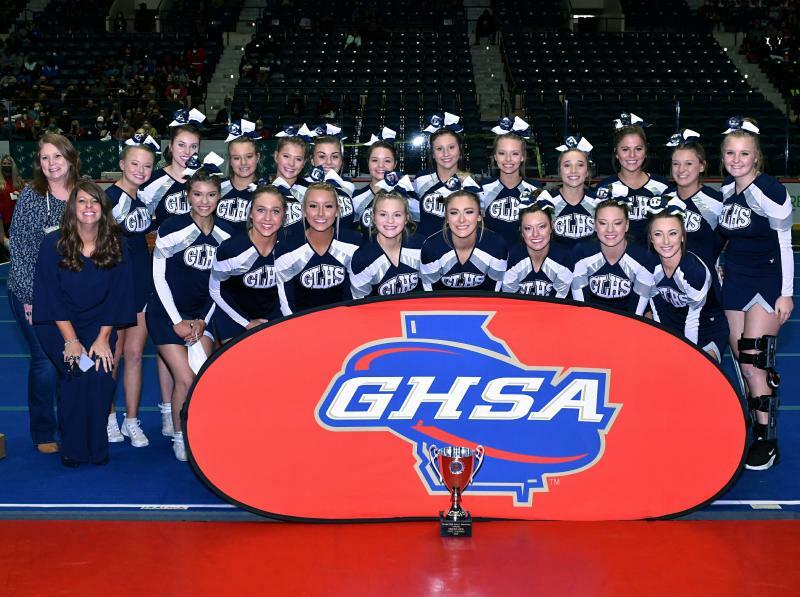 The 25th anniversary GHSA Cheerleading State Championships were held Nov. 10-11 at the Columbus Civic Center. 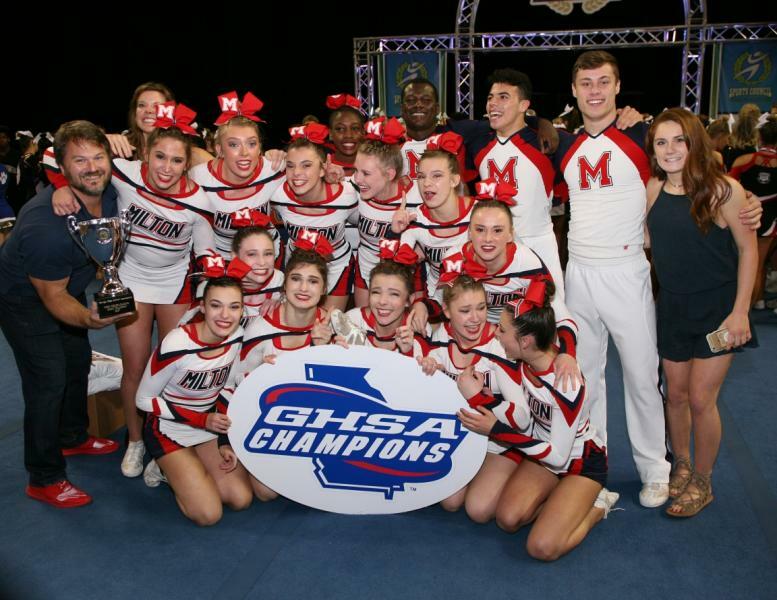 First-time state champions were South Forsyth (7A), Chapel Hill (4A) and Milton (Coed). 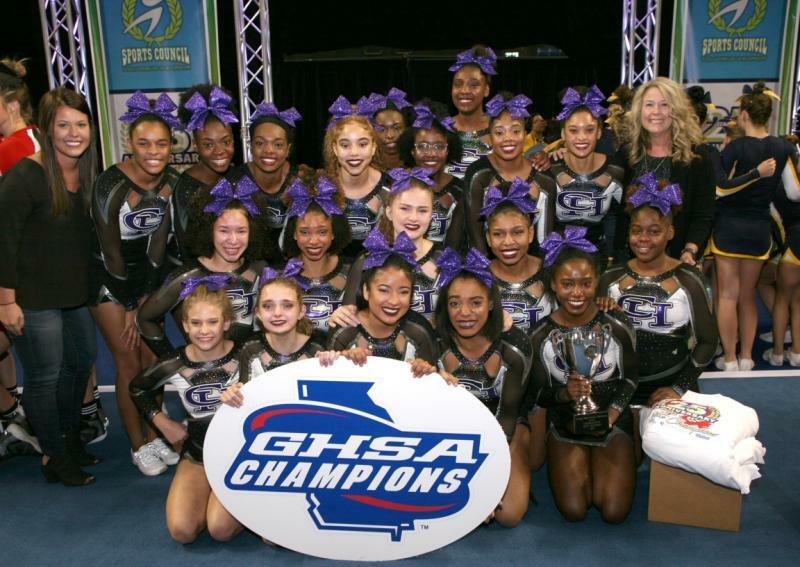 Other winners included: Northgate (3rd straight; 8), Carrollton (2nd straight; 6), Pierce Co. (3rd straight; 5), Armuchee (2), Gordon Lee (2nd straight) and Mt. 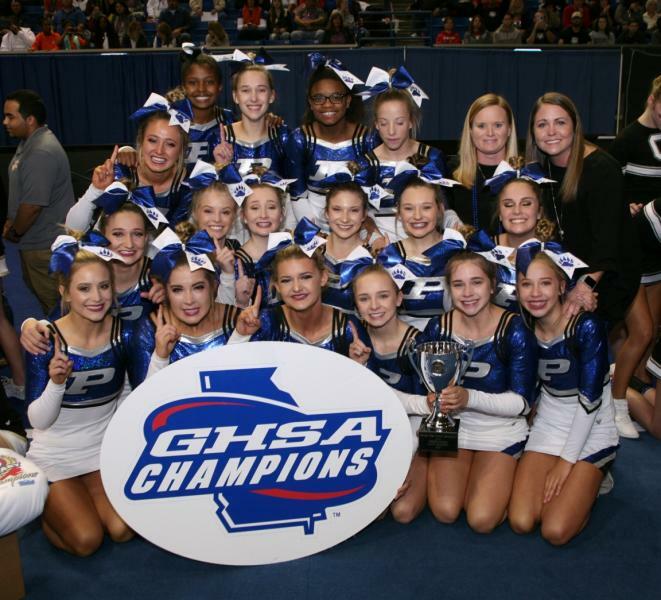 Paran (6th straight) View past state champions. 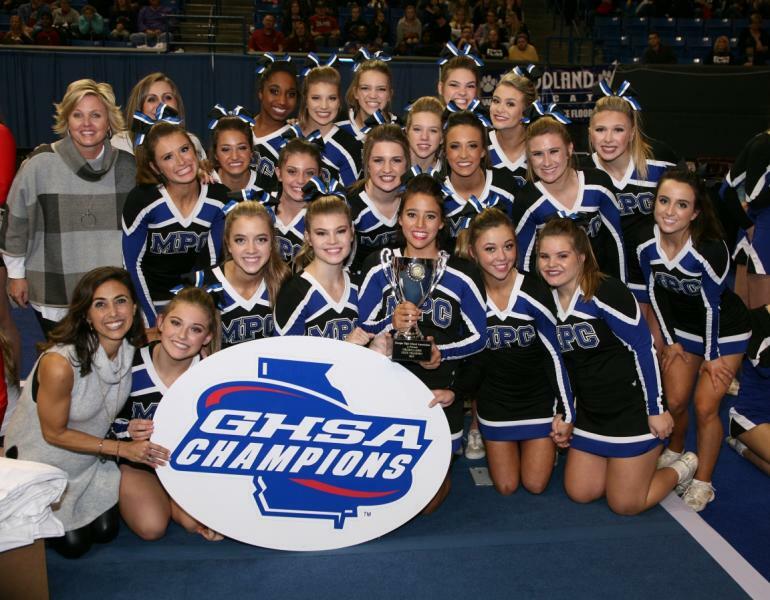 Appreciation goes to the hard work and planning by Pam Carter, Jimbo Davis, Heath Perkins and Columbus cheerleading event staff, Penny Mitchell and GHSA staff, Brookstone School staff, volunteers, judges, sponsors (especially TeamIP, Nfinity, Mr. Video, Unforgettable Moments, GraphicEdge Posters & Georgia Farm Bureau Insurance), Columbus Civic Center, Columbus Sports Council and the Columbus State University Cheerleaders for a very successful event. Action photography by Unforgettable Moments can be ordered at unforgettablemoment.com. 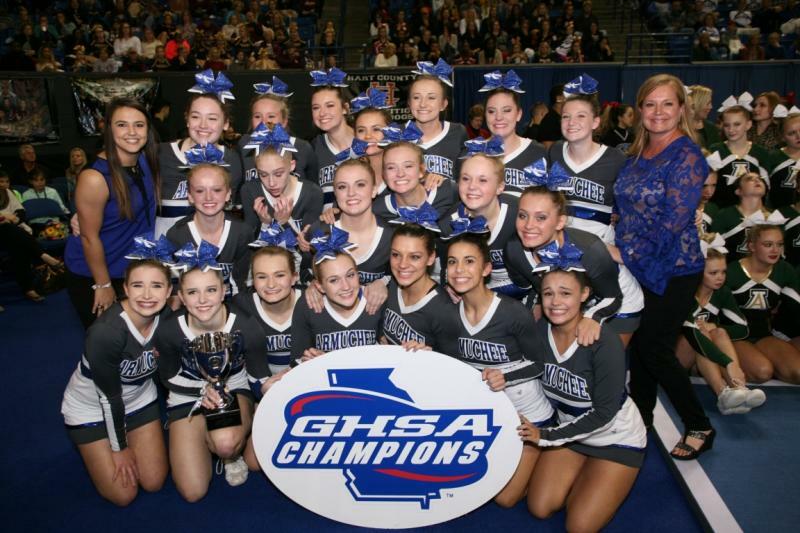 Team posters by Graphic Edge Posters can be ordered at graphicedgestudio.com. 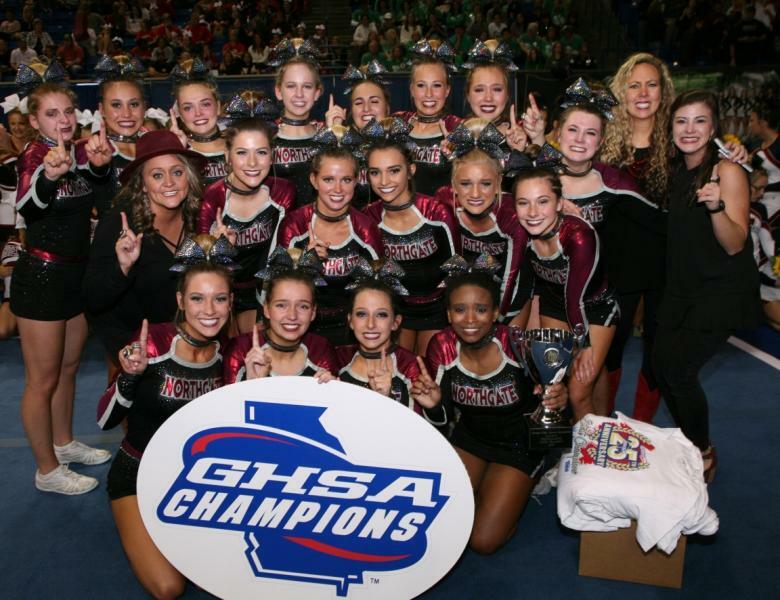 Watch NFHS Network for free on-demand viewing three days after the event at nfhsnetwork.com/associations/ghsa. 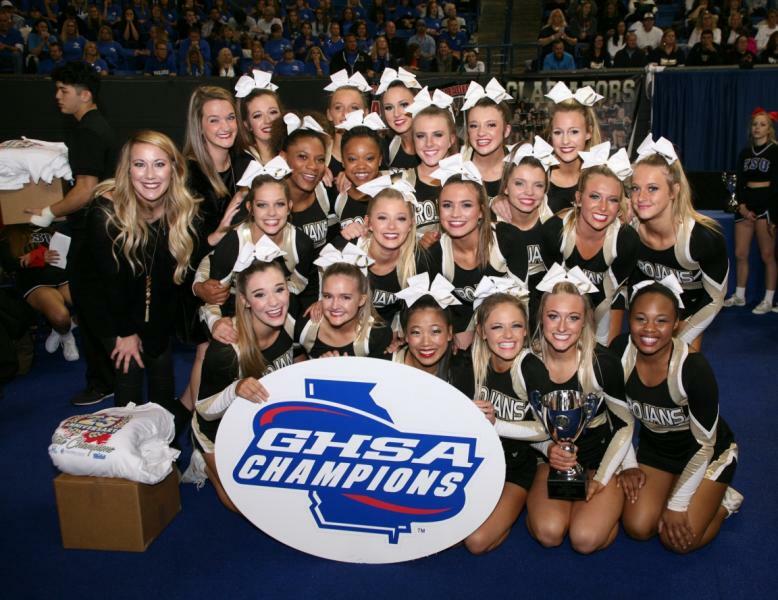 NFHS Network - High School Happens Here! DVDs by Mr. Video in cooperation with NFHS Network can be ordered online MrVideoOnline.com or NFHSNetwork.com/dvds.